On this post, you will read a complete review of Global Test Market and you learn how this site works. It is a legit site but there are some complaints and issues you can read below. What Is Global Test Market and How It Works? 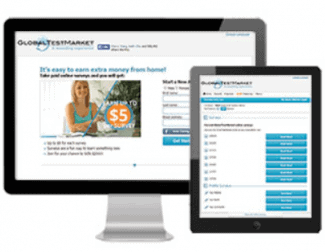 Global Test Market is a survey site created in 1999. It is one of the oldest sites in this industry. The company is completely focused on online surveys and it does not offer any other way to make money. The process to start completing surveys is really simple. You just create an account and answer questions about your interests, lifestyle, health, and work. When you answer these questions, you can check the available surveys. Additionally, there is a lottery in which you can earn up to $1000 and a referral program. You do not earn money directly money but points that you can exchange for money and gift cards when you complete the minimum cashout limit ($10). When you visit the homepage of the site, you just fill in your personal details to create a new account. Home: Here you can check for available surveys. Rewards: You can see the points you have earned. Sweepstakes: The sweep entries are your entries to the lottery. Before start completing any surveys, you answer the mini-surveys about your lifestyle, work, interests, and health. Then, the system can find surveys that fit in your answers. Your motivation to read a review about Global Test Market is to learn if it’s legit and you can really earn money with it. So, I will share some of my experience here. First of all, I started with the profile surveys. I spent almost 40 minutes without earning any money at all. They give only sweep entries for these questions. I think it’s ridiculous. From these answers, they learn about the demographics of their members and they can use them to promote and improve their company. The fact that they do not pay you from the beginning for your time, it does not help you to trust the process. Next, let’s go to the other surveys. In most survey sites, you can expect to earn $0.5-$1 on average per surveys and they usually take 20-30 minutes. The problem is that you do not fit to all the available surveys. It makes sense that the surveys are ordered from other companies for research. So, you must fit their audience. The problem here is that you fill in questions for 10-15 minutes before finding out that you are not eligible. They just waste your time. They could easily figure out if you are on the target group with 4-5 questions. This is a frustrating problem and it does not help you to earn extra money. If you log in one hour per day (in your free time), it can take weeks or months to reach the minimum cash out limit which is at $10. Legit Website: The site works online from 1999. I rank it as a legit site because when you reach the cashout limit, you will get paid. Your options are to get a gift card for the amount you have earned, a PayPal card, or you can give your earnings to donations. They Do Not Spam: When it comes to online surveys, many sites send tons of spam or sell your personal information to third party companies. It is not going to happen on Global Test Market. You do not have to worry about spam emails. They only send you about available surveys. Slow Earner: I mention above that they waste your time in many cases. Also, there are not unlimited available surveys to keep working on them until earning the money you want. You have to be patient and wait to receive emails for surveys. Better Alternatives: Well, it’s a legit site but there are better alternatives out there. From the sign-up process, I feel it’s not worth it. You earn lottery tickets for 40 minutes of your time while there are other sites in which you can earn a sign-up bonus without doing anything or you get paid for completing the profile questions. If you live in the USA, you can check Swagbucks. For people who do not live in the USA, ClixSense and CashCrate are better options as well. On these sites, you can find more ways to make money as well and not only surveys. My Final Opinion – Is Global Test Market Legit? Global Test Market is a free website so there is nothing to lose. You can give it a try. However, I would not recommend it. The rewards are too low for the time you spend on this site. We cannot even estimate your average earnings per hour of activity on the website. You can read many complaints on the internet from people who could not reach the cashout limit and gave up before earning the ten dollars. If you want to join a side income site, check the bonuses, the rewards and the average time to complete the tasks to make sure you do not waste your time. Here Is Something That Really Works! I will not recommend another survey here. I am going to invite you to learn about affiliate marketing. 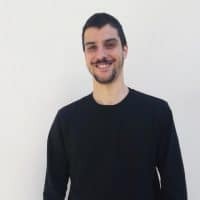 This simple process has helped thousands of people to build a profitable affiliate marketing business that has changed their lives. Click here to learn more about affiliate marketing and how you can get started right now! Thanks for reading my review of Global Test Market. Below you can leave your comments and your questions about the company! Are you tired of the online scams? Discover a legit way to make money online! Here is a LEGIT way to make money online! I sick and tired of people being SCAMMED on the internet. Get my personal guide and never been ripped off again.